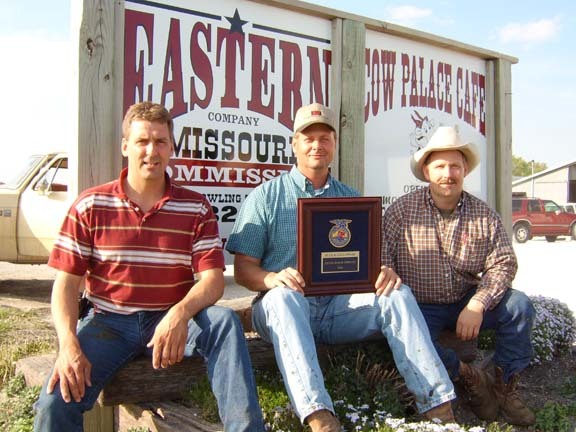 Pictured here are the three owners/managers of Eastern Missouri Commission Co. (EMCC) in Bowling Green. From left to right, Justin Angell, Mike VanMaanen, and Jon Angell. At EMCC we strive to run a progressive and efficient livestock market that will be the preferred market for buyers and sellers alike. We like to say that "at EMCC we work FOR our consignors and WITH our buyers." That simple phrase guides most of what we do in Bowling Green. Sales are held most Friday's except for once around Independence Day and either one or two Fridays around Christmas and New Year's Day we take time off for barn repairs and to spend extra time with our family. We accept cattle the day before sales from 8 a.m. to 10 p.m and then again around day light the day of the sales.... other times by appointment in advance.